This is a selection of exquisite kitchen handles and knobs that will make your kitchen look great. 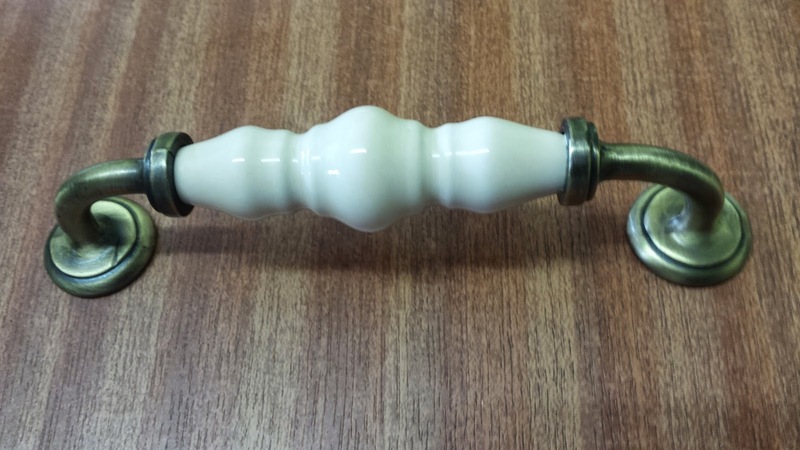 On the right is porcelain on antique brass pull handle. 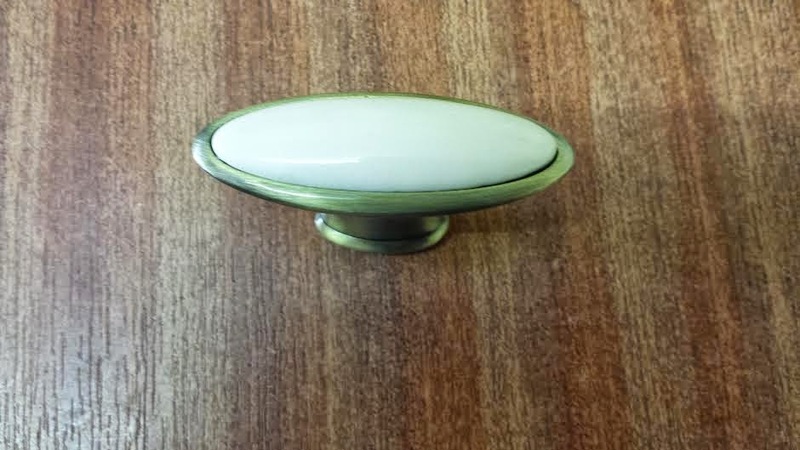 Below is a full set of matching knobs and also a great looking old-world cup handle at the bottom. This is a traditional cup handle on the left. 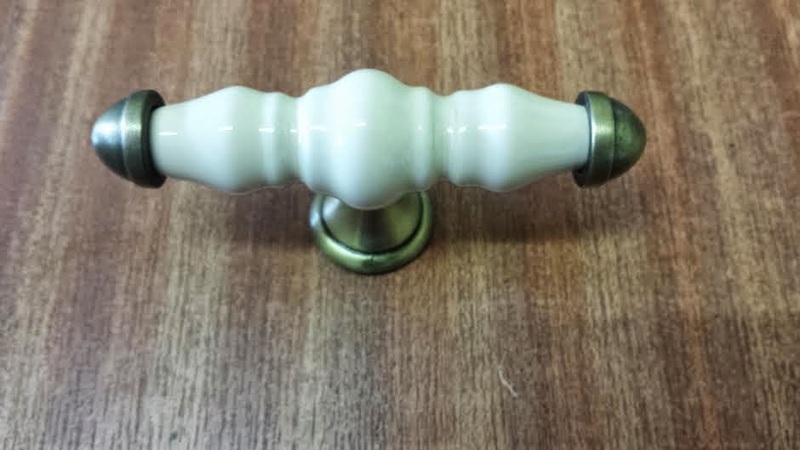 It is unique in that it has a full set of matching knobs and a handle above. 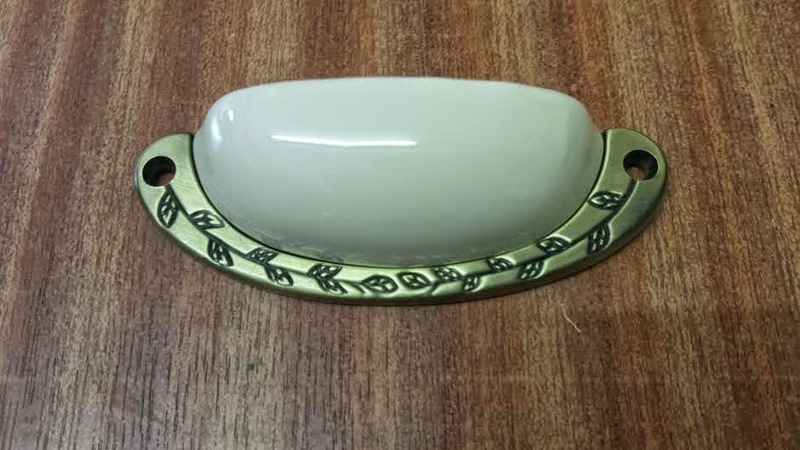 The finish is cream on antique brass. 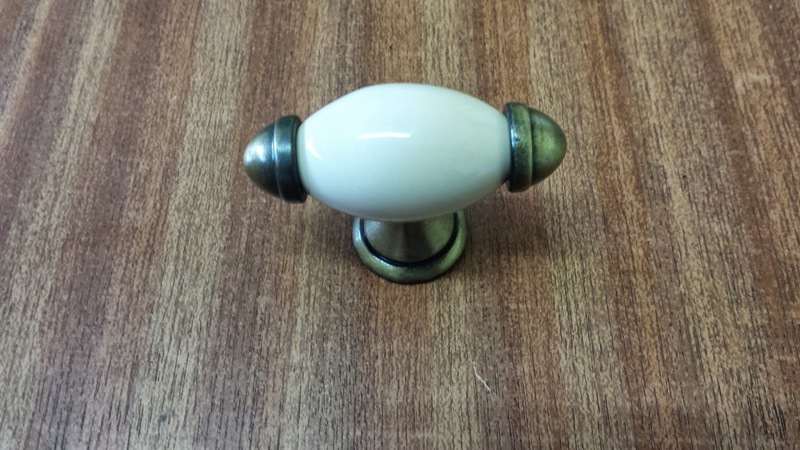 with any questions or a request for a trade price quotation for a full list of these porcelain fittings to suit your complete kitchen, Antique brass surface fit hinges are in stock to match the antique trim on these kitchen porcelain fittings. 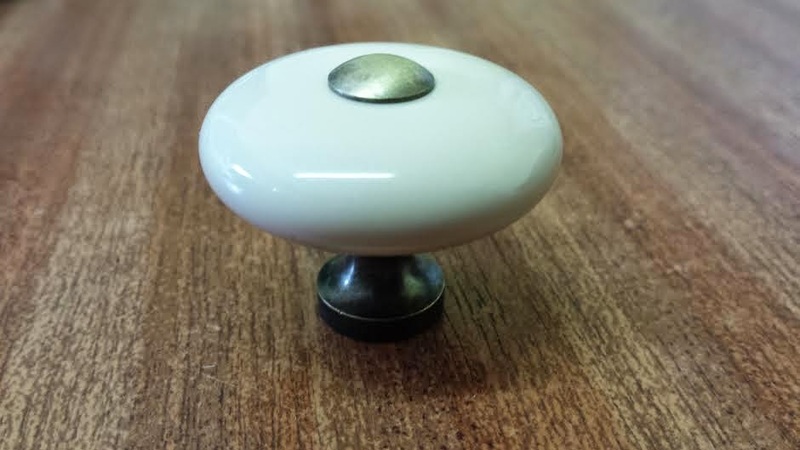 We also stock a full range of modern metal kitchen knobs in six finishes; nickel, brass, polished chrome, satin chrome, antique brass and black. Call our number or email and look for John, I will be glad to offer any assistance and advice that I can.